While (obviously) nowhere near as revelatory as the original album, the live bonus material on disc II of the Daydream Nation reissue has most definitely increased our anticipation in seeing the band at the Greek Theatre in July. Set to perform the album in its entirety — in select cities across the United States (as a part of ATP’s Don’t Look Back series) — Sonic Youth will revisit the 1988 album that was inducted into The Library of Congress last year. Yes, that Library of Congress. 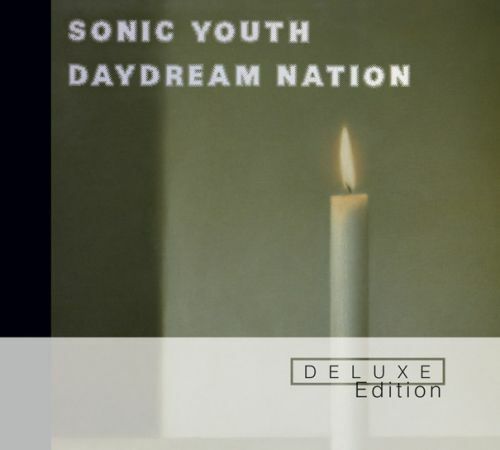 While this was not the first SY album I heard (that would be Goo), Daydream Nation remains an influential touchstone — one whose influence continues to define my tastes to this very day. Essential listening. Do you know what they mean by “inducted into the Library of Congress”? Being a repository for the Copyright Office, I would guess that they already had/were offered a copy years ago when it came out. I guess they just now felt it was worth putting in their permanent collection or something? right, my “assumption” is that Daydream Nation was officially recognized/honored by the Library of Congress and placed alongside other watershed albums they deem worthy.